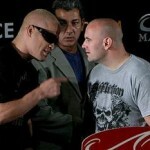 Affliction Fighters: Where They Are Now! Vitor Belfort to the UFC! The rumours are strong and the rumours are good! The latest rumour coming out of the demise of Affliction is that Vitor “The Phenom” Belfort is finally making his return to the UFC. With the news of Affliction MMA closing shop a reality, Dana White has now confirmed that Affliction is back as a sponsor to the UFC and its fighters and may be seen in the UFC events as soon as August 8th at UFC 101! Affliction Eulogy? Trilogy Officially Cancelled. Affliction has seemingly cancelled its Trilogy event officially. 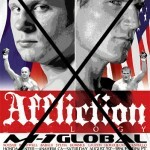 According to SI.com, Affliction has now officially cancelled its Trilogy event scheduled to happen on August 1st after the Josh Barnett failed drug test debacle. 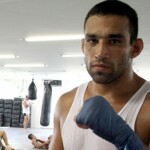 Rumour: Werdum to replace Barnett at Trilogy? The Rumour Mill is working overtime! The latest rumour to hit the MMA scene is that Strikeforce Heavyweight Fabricio Werdum is all set to replace Josh Barnett at Affliction: Trilogy against Fedor. A broken hand after the Terry Martin fight at Affliction’s first card had kept Vitor Belfort out of the second card. Now, thanks to the new Affliction: Golden Boy tie-up and a postponement of the second Affliction card, Vitor is back on and raring to go.